Mon., 27 Jan. - Tue., 11 Feb. Mon., 10 Feb. - Fri., 28 Feb. Sun., 12 Jan. - Mon., 20 Jan. Mon., 17 Feb. - Tue., 3 Mar. Mon., 3 Feb. - Tue., 25 Feb. Mon., 3 Feb. - Tue., 11 Feb. Mon., 11 Nov. - Tue., 10 Dec. Mon., 11 Nov. - Fri., 13 Dec. Mon., 17 Feb. - Mon., 24 Feb. Thu., 23 Jan. - Fri., 31 Jan. Sun., 24 Nov. - Mon., 2 Dec. Mon., 10 Feb. - Tue., 10 Mar. Mon., 4 Nov. - Tue., 26 Nov. Sun., 12 Jan. - Tue., 10 Mar. Sun., 9 Feb. - Fri., 28 Feb.
Wed., 4 Mar. - Fri., 6 Mar. Wed., 23 Oct. - Tue., 5 Nov. 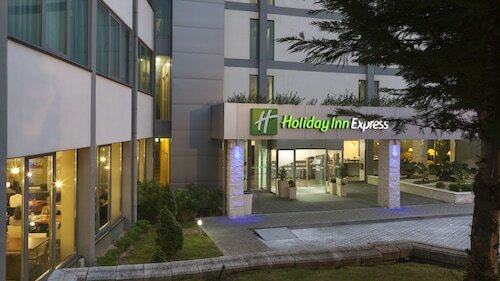 Situated near the airport, this hotel is within 3 mi (5 km) of Lisbon Casino, Lisbon International Exhibition Fair, and Lisbon Oceanarium. Santa Justa Elevator and Castle of Sao Jorge are also within 6 mi (10 km). Lisbon Airport Station is 6 minutes by foot and Encarnacao Station is 22 minutes. Situated near the airport, this spa hotel is within 2 mi (3 km) of Vasco da Gama Shopping Centre, Lisbon Casino, and Atlantic Pavilion. Lisbon International Exhibition Fair and Lisbon Oceanarium are also within 3 mi (5 km). Lisbon Airport Station is 7 minutes by foot and Encarnacao Station is 23 minutes. 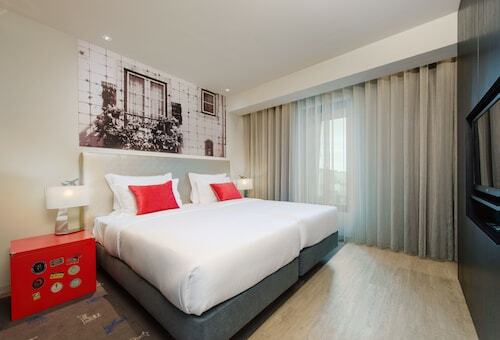 Situated in Lisbon, this hotel is within 1 mi (2 km) of Entrecampos and University of Lisbon. Gulbenkian Museum and Estádio da Luz are also within 3 mi (5 km). 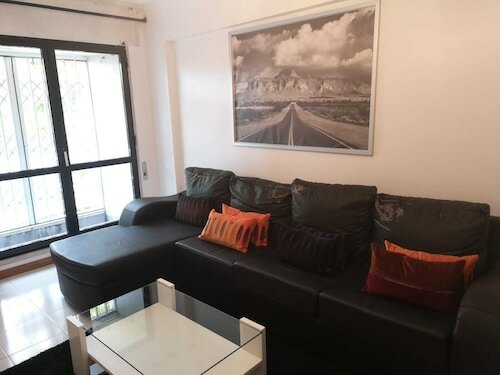 Campo Grande Station is only a 5-minute walk and Quinta das Conchas Station is 16 minutes. Located in Lisbon Old Town, this hotel is within 2 mi (3 km) of Santa Justa Elevator, Lisbon Cathedral (Se), and Castle of Sao Jorge. Belem Tower and Jeronimos Monastery are also within 6 mi (10 km). Marques de Pombal Station is 9 minutes by foot and Avenida Station is 9 minutes. 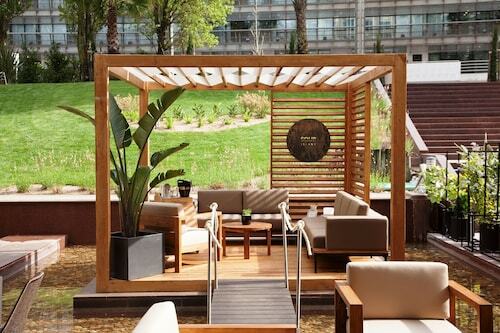 This family-friendly Lisbon hotel is located in the business district, within 3 mi (5 km) of Gulbenkian Museum, Santa Justa Elevator and Lisbon Cathedral (Se). Castle of Sao Jorge and Jeronimos Monastery are also within 6 mi (10 km). Lisbon Sete Rios Station is only a 4-minute walk and Jardim Zoologico Station is 7 minutes. 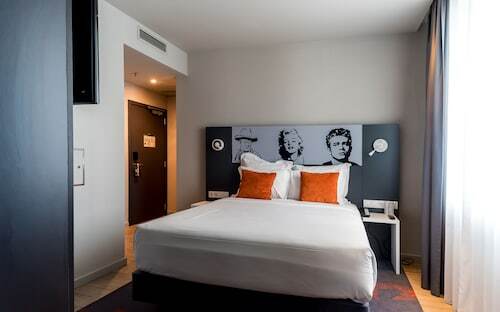 Situated near the airport, this hotel is within 3 mi (5 km) of Lisbon International Exhibition Fair, Vasco da Gama Shopping Centre, and Lisbon Casino. Vasco da Gama Tower and Atlantic Pavilion are also within 3 mi (5 km). Encarnacao Station is 27 minutes by foot. 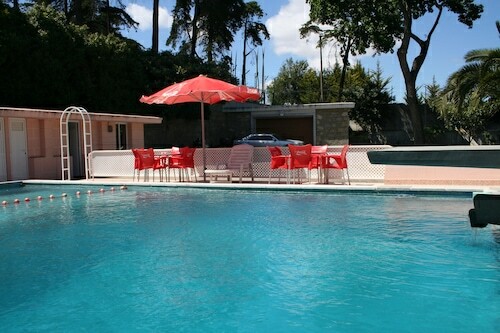 Situated in Lisbon, this hotel is within 1 mi (2 km) of Belavista Golf Course and Bela Vista Park. University of Lisbon and Piaget Institute are also within 3 mi (5 km). Lisbon Airport Station is 12 minutes by foot and Alvalade Station is 24 minutes. Answer : Tickets are presently $754, 35% less than the average price for this route. As of Apr 15th, the cheapest day to fly from Montreal to Lisbon is Apr 21st. Question : How long does it take to fly from Montreal to Lisbon? Answer : If you're able to take the direct flight (which is offered by Air Transat), you will be able to leave YUL at 9:45 PM EDT and get to LIS at 9:15 AM WEST (six hours and 30 minutes). Don't forget, there is a time change of five hours. Question : How long do most people stay on their visit to Lisbon on average? Question : How much is a plane ticket to Lisbon (LIS) from Montreal (YUL)? Answer : They range anywhere from $682 to $19,327. Booking in advance can typically help you get the cheapest rate. However, usually the sooner you book, the more you'll be able to save. Answer : You sure can and you may save money by doing it. The lowest-cost day to fly in April is Sunday. Question : Which airline has the least delays from Montreal to Lisbon? Answer : Booking with Air Transat means you will arrive to Lisbon pretty close to the time your ticket states. In fact, this airline has a 56% average for getting there on time. Of course, it never hurts to be prepared. If you’re on Air Canada Rouge, be sure to sign up for the delay notifications to stay up to date with your flight’s status. Question : What is the cheapest airline flying from Montreal to Lisbon? Answer : Air Transat is your best bet for finding that sought-after low fare. They offer fares as low as $682, while rates for similar flights can cost as much as $19,327. Don't assume they seat you and your partner/family together. May be extra charges to have that as an option. We found on both flights, plenty of empty seats, full rows empty that can be assumed after cruising altitude is maintained. Seats were way to tight even for small guys like us. The passanger next to us over flowed into our seats. Did not enjoy the food. Prefer a good yoghurt some fruit and ccrackers and cheese. Problem on the desembarking in Lisbon: they have separate a couple of 85 years old, one was on wheeling chair with assistance, band the other can walk. It’s incredible they have separated such an old couple, with all the insecurity this can create! That’s the only negative thing we have to say.